Using a bread knife cut each dinner roll horizontally into three equal slices. In a small bowl combine the cream cheese, dill, black pepper, lemon zest & juice. Spread a little of the cream cheese mixture onto the base and slice of each roll. 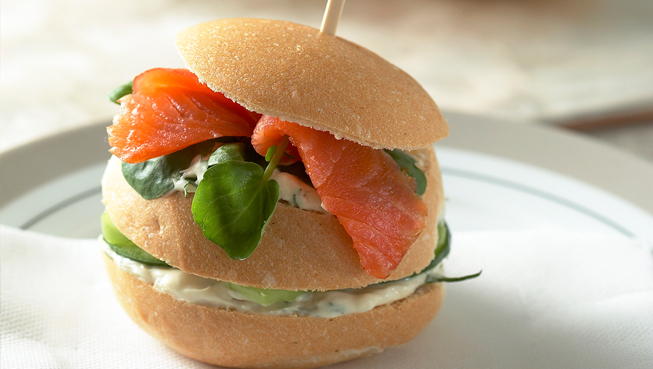 On the base of each roll place a small handful of water cress leaves, top with the bread slice and decoratively arrange a slice of smoked salmon on top. Finish with the crown and secure with a long toothpick.